Addicted to prescription painkillers after a high-school sports injury, Cameron Burke moved on to heroin, which was cheaper and more easily accessible. His parents tried everything, more than once sending him out of state for treatment. "It was never enough," Jennifer Weiss-Burke of Albuquerque, N.M., told a local TV reporter last year. "Thirty days here, 30 days there, maybe detox for five days. It was never long-term, and that&apos;s what he needed. Recovery from heroin addiction requires long-term treatment." During the course of two years, Cameron would seem to recover, only to relapse. In 2011, Weiss-Burke found him dead in his room. 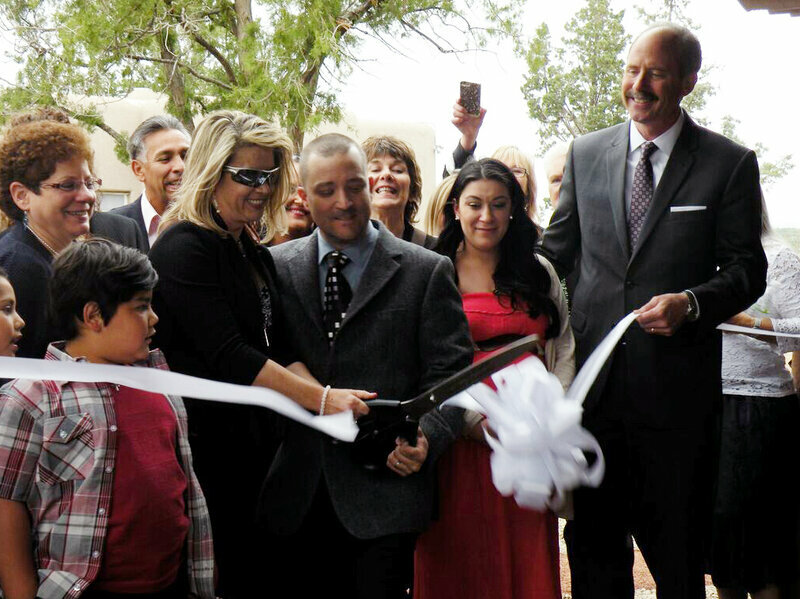 Weiss-Burke turned her grief into action, lobbying for state legislation that would require all medical practitioners to complete a course in addiction and pain management when their licenses are renewed, and pushing for the creation of Serenity Mesa, a long-term treatment center for youths in Albuquerque that opened its doors last year. Although drug addiction was described as a disease as long ago as the 1700s, addiction medicine has been neglected by the medical system, according to a 2012 study by the National Center on Addiction and Substance Abuse at Columbia University. "While a wide range of evidence-based screening, intervention, treatment and disease management tools and practices exist, they are rarely employed," the report found. 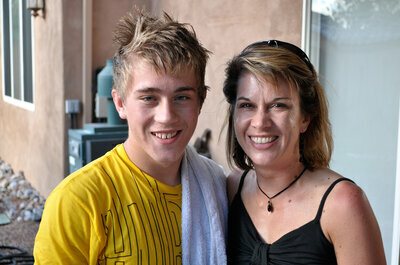 Lack of effective treatment in the teen years can blight an entire life. "When substance use disorders occur in adolescence, they affect key developmental and social transitions, and they can interfere with normal brain maturation," the National Institute on Drug Abuse reported in 2014. "These potentially lifelong consequences make addressing adolescent drug use an urgent matter." The first line of defense is primary health care, according to Dr. David E. Smith, an addiction medical specialist who founded the Haight Ashbury Free Clinics in San Francisco. To increase the number of physicians trained to diagnose and treat addiction and to recognize early signs of adolescent substance use disorder, Smith would like to see addiction medicine mandatory in medical school. "Engaging people earlier in their addiction improves their chances of recovery and overall better health," Smith said. "Meanwhile, costs for the health care system are dramatically reduced." Deaths from heroin overdose in all age groups doubled from 2010 to 2012, according to a 2014 study from the Centers for Disease Control and Prevention. In response, communities are seeking new strategies to treat addiction and speed access to care. That includes trying to meet the unique needs of youth after years of addiction treatments geared to adults. Serenity Mesa is one of those youth-centered efforts. Such programs offer evidence-based treatment, types of therapy that have shown scientifically validated results. They include: Screening, Brief Intervention and Referral to Treatment (SBIRT), a preventative protocol for early detection;Motivational Interviewing, a counseling approach that guides individuals to set goals; and Functional Family Therapy (FFT), which treats teens in a family setting. While public policy and social attitudes have begun to catch up with science, treatment for teens lags far behind. The 2012 National Survey on Drug Use and Health found that 90 percent of drug-addicted youth ages 12 to 17 get no treatment at all. "Twenty years ago, we were just beginning to focus on evidence-based treatment for drug-involved youth," says Dr. Holly Waldron, a senior scientist at the Oregon Research Institute who studies adolescent behavior. "Historically, interventions for addictive behaviors have included confrontational approaches, but we&apos;ve learned that confrontation does not produce effective change in substance-abuse behavior." Instead, Waldron and her colleagues favor evidence-based interventions including functional family therapy and cognitive behavioral treatments for adolescent substance abuse. "We&apos;re actively involved in taking these treatments to community settings," she said. "If we can connect kids to treatment, we know they&apos;ll improve." Most health insurers now require proof that addiction programs use evidence-based treatment, a sign of efficacy. And since the 2010 Affordable Care Act expanded theMental Health Parity and Addiction Equity Act, more adolescents have better access to insurance coverage. Yet, teenagers rarely enter rehab voluntarily. "Clinicians are dependent on systems like juvenile justice and the schools to get teens connected to treatment," Waldron said. Some treatments for teens with substance use disorder engage the whole family. Functional Family Therapy uses a dozen or more one-hour sessions to defuse negativity, then teach skills training in family communication, parenting, problem solving and conflict management. Later sessions strengthen a family&apos;s capacity to navigate community resources, which can prevent relapse. Waldron is also testing the effectiveness of delivering therapy to New Mexico&apos;s scattered rural population via video conference. Privacy is one benefit of videoconferencing, Waldron noted. "If you live in a small town and your car is parked in the lot at the mental health clinic, everybody knows that&apos;s your car," she says. "In Native American communities, if you go to a tribal counselor, it&apos;s more likely people will know your business." So talking at home over the Internet offers greater confidentiality. "That&apos;s important to families." Videoconference dynamics can be complicated, however. "It&apos;s harder to discern over a video stream how people are responding," Waldron said. "If they&apos;re quiet, if they&apos;re becoming emotional, we might not see cues." To compensate, "the therapist has to do verbal check-ins with each member of the family," Waldron explained. She posed an example, meant to invite participants to describe their feelings: "I hear you being quiet. Does this topic hit close to home for you all?" The study ran through November, and Waldron said preliminary data shows the online treatment is as effective as treatment delivered face-to-face at home. If, as Waldron expects, the final data shows measurably improved outcomes such as a decline in drug use and better family dynamics, she hopes that the results can be reproduced elsewhere. "It will mean that it&apos;s possible to get the best treatment to kids who would never have access otherwise," she said. At HealthRIGHT 360, a nonprofit in San Francisco created in 2011 when the Haight-Ashbury Clinic merged with the local residential center Walden House, treatment can include individual or group therapy, family therapy and mindfulness meditation. All can be used in combination with medications such as methadone. While methadone can be effective in addiction recovery for adults, it is not well-suited for teens, according to Dr. Ako Jacintho, HealthRIGHT 360&apos;s medical director. Methadone is highly regulated and can only be administered at methadone clinics. The drug must be taken daily, so trips to and from the clinic, often far from home and work, can be especially difficult for teens. And, Jacintho noted, teens may encounter other addicts at the clinic, as well as opportunities to buy drugs. The maintenance drug often prescribed for teens is Suboxone, a combination ofbuprenorphine, an opiate substitute that eliminates craving, and naloxone, which blocks euphoric effects. Suboxone doesn&apos;t cause drowsiness, and, the equilibrium it provides can make it easier to identify and treat co-occurring disorders like depression or anxiety. The dosage is eventually tapered. A 2014 Yale School of Medicine study showed that ongoing maintenance treatment with Suboxone is more effective than detoxification and abstinence alone. "There is strong data on Suboxone," Jacintho said. When combined with behavioral therapy, he says, Suboxone can reduce relapses and promote recovery. And, it can be prescribed and given by a trained and certified primary care physician — in a doctor&apos;s office, rather than a clinic, Jacintho noted. "We get better outcomes when we change from methadone clinics to primary care." As education and training around addiction improve, Smith hopes more attention will be paid to the people he calls "role models of recovery." Vitka Eisen, CEO of HealthRIGHT 360, is one of them. She was a heroin addict from age 19 to 25, until the Haight Ashbury Free Clinic and Walden House put her back on her feet. Three college degrees later, including a doctorate in education from Harvard University, she&apos;s proud to call herself "a 1987 Walden House graduate." Having been homeless during periods of her addiction, Eisen knows the difficulties teenage addicts may face. "It&apos;s hard for these kids to get off heroin, because they lead such challenging lives. If a kid&apos;s using heroin, there&apos;s a high likelihood of trauma exposure" from school, work or family life, she said. "Drugs may seem like the best thing in their life, the thing that helped them deal with how they experience the circumstances of their lives." The most effective treatments for teens, she says, build on the individual&apos;s strengths while empowering them to better handle stressful circumstances. And these treatments can gain in effectiveness when used in combination with medications such as Suboxone. Jacintho also says there soon will be greater acceptance of integrated treatment for teens. "The data is going to show positive health outcomes," he predicted. Smith is cautiously optimistic, too. "Every interface with a health care professional should give a consistent message," he said. "We care." This story was produced by Youth Today, the national news source for youth-service professionals, including child welfare and juvenile justice, youth development and out-of-school-time programming.